These photos documented the drought and the misuse of the land. Today, Ryan Parker is serving as a modern landscape photographer. Part prophet, part photojournalist, he creates minimalistic photographs to warn us about transforming the landscape for profit. He is not a fire and brimstone preacher or activist, instead his understated photographs with subdued graphic content remind us of the desolate landscape. Parker's images of nature or industrial sites could be compared to the famous Danish photographer, Per Bak Jensen. They both photograph unusual subjects, like twigs and bushes in the snow and strange concrete formations that appear to be underpasses. Are these suburbs being built in a flood zone for real estate profit? Are these billboard signs blocking our mountain view? Are these new suburbs destroying future agricultural development? Do industrial parks, storage containers and snow filled parking lots contain beauty? Are we trading land conservation for efficiency? 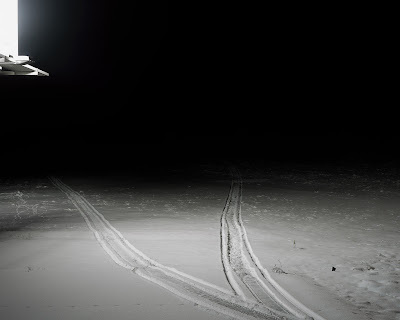 His landscape photographs are unsettling and perplexing. Not one of his photos includes the human figure, which adds to uncanny and mysterious photos. 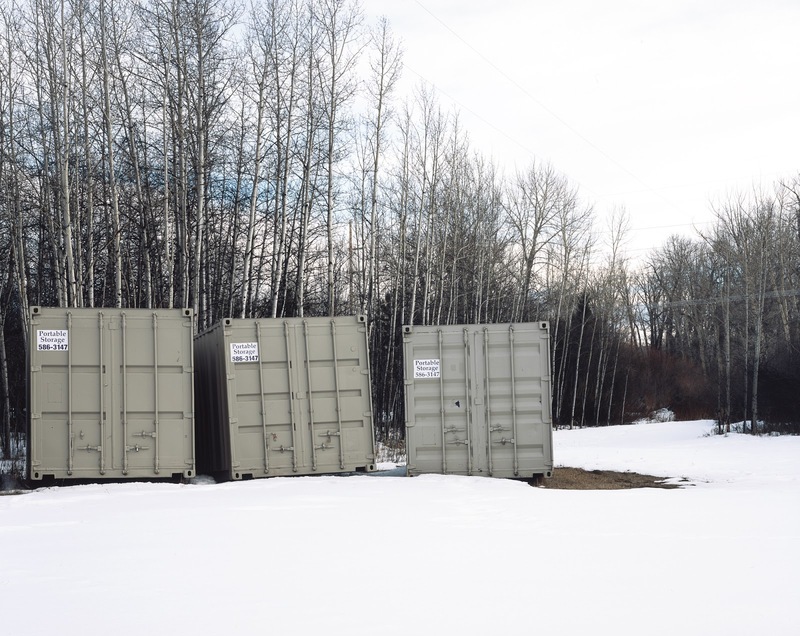 The viewer looks at the industrial shipping containers with snow piles and winter barren trees. This photograph captures the spatial forms that occur in everyday life with a reduced minimalist-style. Yet is Parker photographing sculpture, like three Donald Judd’s metal boxes, or is this an industrial waste site with abandoned containers? Clearly, Lewis Baltz, a minimalist photographer and a prominent representative of the New Topographics movement has been a coach and mentor to Parker. Whereas, Baltz is deceased, Parker is capturing energy from the art form that was created before he was born. Parker, examines Baltz strategies, and then expands on contemporary land issues, industrial/storage parks with repetitive grids, abandoned gravel pits, snow piles and frozen parking lots. He uses the light from the night billboard and reduces it to land art, as it might be a temporary Smithson Spiral Jetty. Parker’s photo series document the contemporary industrial landscape, reducing each photo to its minimalistic hypnotic form. He deploys everyday scenes that appear outside our comfort zone, implementing photography techniques that disturb our visual senses. It is this skill, knowledge of photography and passion that makes him a modern landscape prophet. Love Ryan's work. This is a great blog.